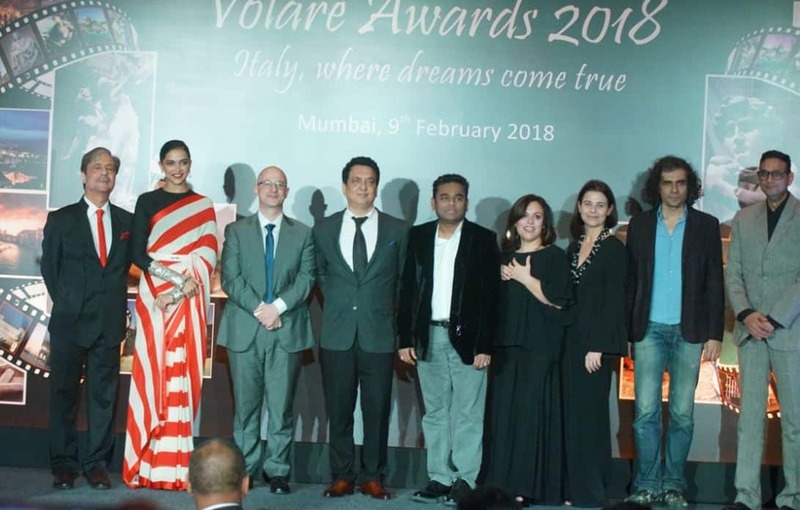 New Delhi: Actress Deepika Padukone, who has been riding high on the success of her latest release 'Padmaavat' was spotted at the Gala dinner on Wednesday night where she received an award by the Italian consulate. 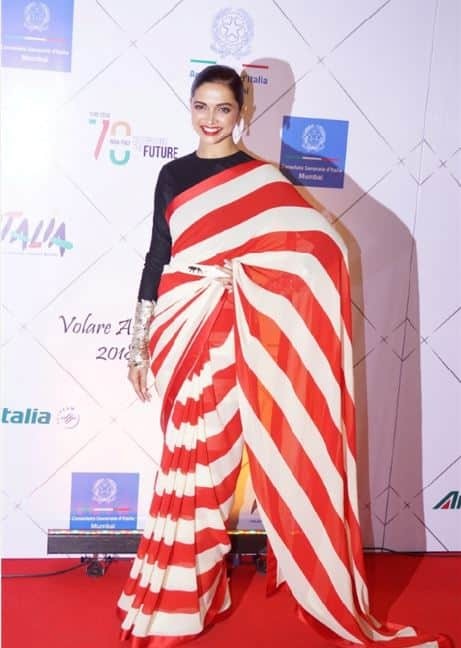 Deepika, who has been often seen flaunting her fondness for the traditional seven-yard, was no different this time. 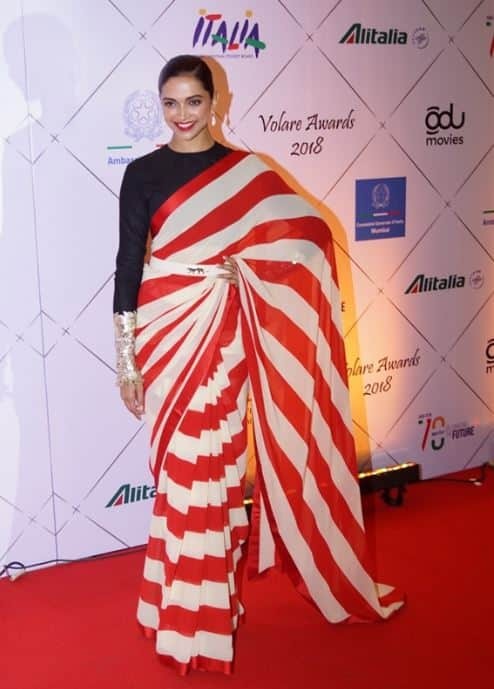 The actress was seen donning a white-red stripe georgette saree from designer Sabyasachi's Spring Summer 2018 collection. She teamed the attire with black full sleeves, a backless blouse that had golden sequins around the wrist. 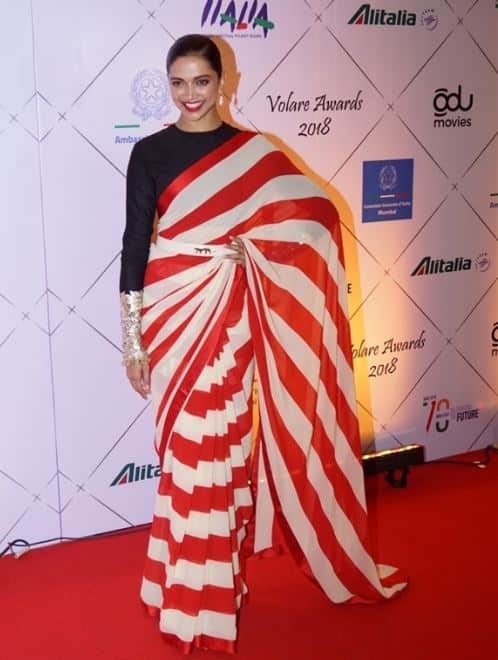 She accessorised the look with a white belt that had a lion patch, crystal drops earrings and her hair tied into a sleek bun. She matched her attire to a dark lip shade. 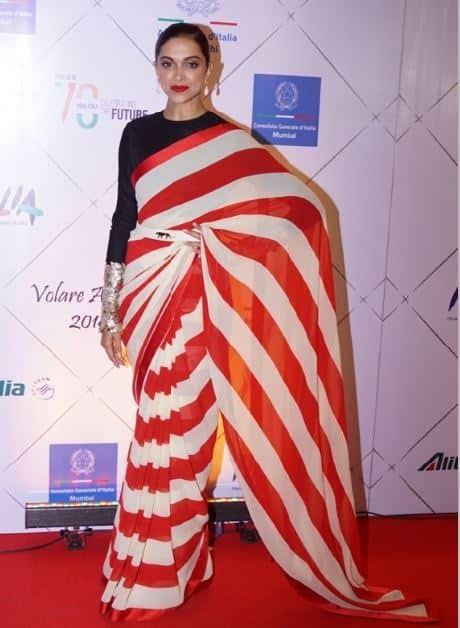 Actress Deepika Padukone at the red carpet of Volare Awards 2018 in Mumbai. 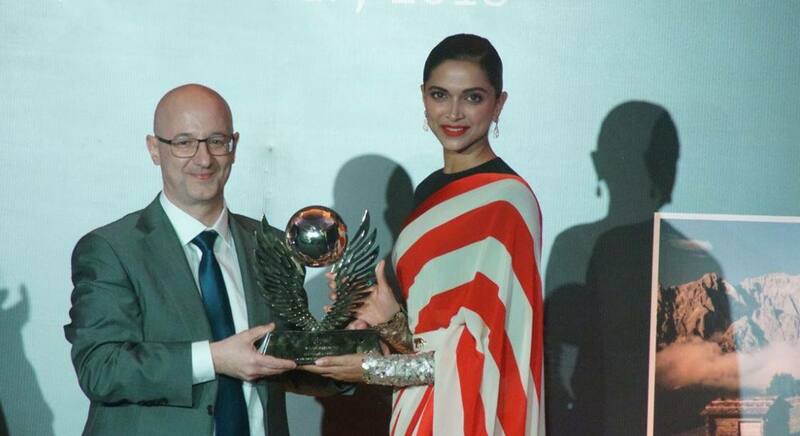 Actress Deepika Padukone receives Volare Award from Italian Consulate general in Mumbai. 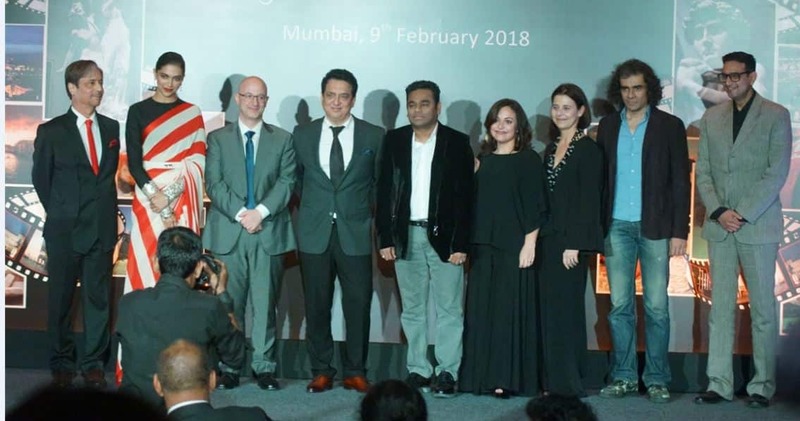 Also present at the event were Oscar-winning composer AR Rahman, filmmaker Imtiaz Ali and producer Sajid Nadiadwala.